I worked in corporate America for more than 20 years. I made good money. Outwardly, I led a successful life. But I sacrificed a lot. Frequent travel made maintaining relationships difficult. My workload seemed to grow inexorably. Every phone call, voicemail, and e-mail seemed to bring yet another problem I needed to resolve. I grew to dread beginning my work day. Now I live in Paraty; a town in Brazil of around 30,000 people that straddles two rivers. 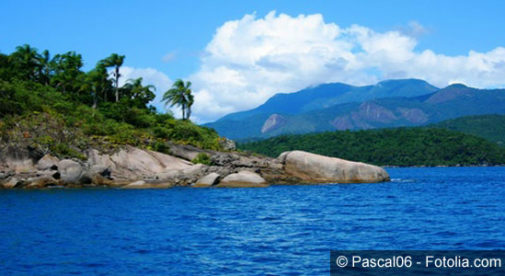 It’s surrounded by hills…waterfalls…and the South Atlantic. So, how do I make a living in a small town in Brazil? Well, it’s all thanks to the Internet. One of the things I do is edit works Brazilians have written in English. Things like scholarly articles, essays, and even a biography. I’ve also started doing translations from Portuguese to English and I’ve translated a number of resumes. I think this could become a very profitable line of business in future. I give English lessons via Skype from home and these days, I write a good deal, too. Not only do I write articles like the one you’re reading right now, but I’ve also written an e-book about teaching English in Brazil. I often open my e-mail in the morning to find that I’ve sold another copy while I slept. Nice. Then there’s the online self-study course I released recently—”English for Brazilians.” Sales have been steady. The product is evergreen, and with the interest here in learning English only increasing, I am optimistic about future sales. I’ve maintained a blog for three years now as a hobby. I plan to promote it and monetize it. With the current interest in Brazil, I think it could be a big success. But although I earn money in lots of different ways, each of my income streams have one thing in common—none of them require me to leave home if I don’t feel like it. It’s really impossible to exaggerate how different my life is today. For one, I no longer own an alarm clock. I still tend to wake up early naturally, but on rainy days I just sleep in. I give English lessons from the dining room table. When writing, I generally prefer to work at the small table out on my patio—to the annoyance of the myriad songbirds which roost there. Most weekdays I break about 3.00 p.m. and go for a workout at my local gym. It’s just across the street. When I have a light day or simply need to get out of the house for a bit, I hop on my bicycle and head to one of the two beaches in town. Sometimes I edit an article or make notes for my next class right there on the sand. And sometimes I just watch the boats go by. The Internet has changed the world…and it has enabled me to enjoy a simple but comfortable living. And guess what? There’s absolutely no reason in the world why you can’t do it, too. If you’re willing to do what it takes to make it happen, you’ll be beachside in no time.